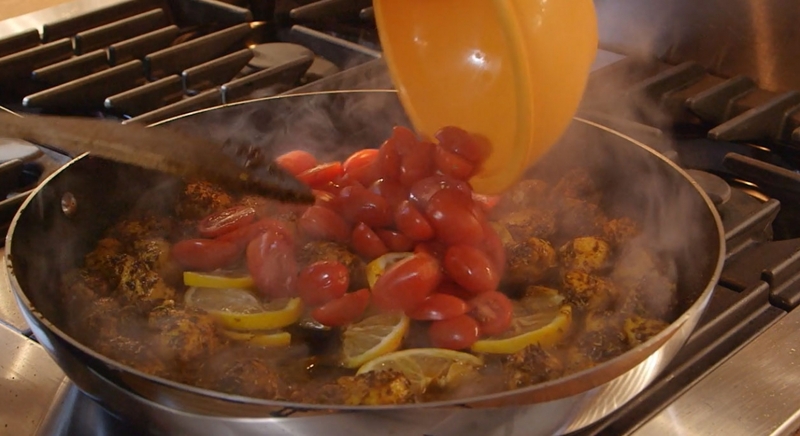 My Moroccan Lemon Chicken seasoning transforms plain chicken breasts into a spicy one-dish meal. 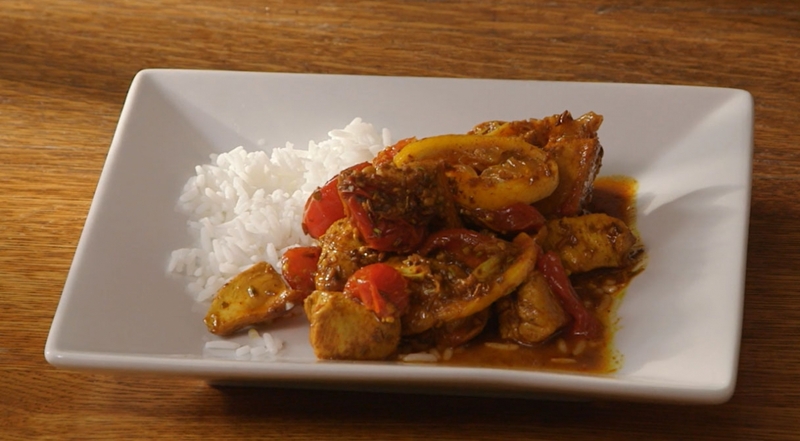 I love Moroccan food, so I created this all-natural blend of spices using caraway seeds, chili pepper, cumin, oregano, and rosemary as well as garlic and turmeric. This recipe is incredibly easy. Start by cutting one-and-a-half pounds of boneless, skinless chicken breast into one-inch pieces. 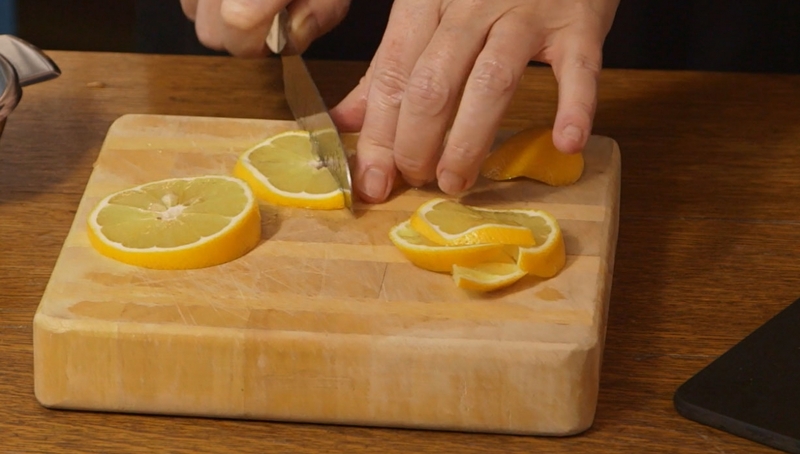 Cut one large lemon in half. Juice one half and set aside. Cut the other half into thin rounds. Then cut each round in half, removing the seeds, and set those aside. 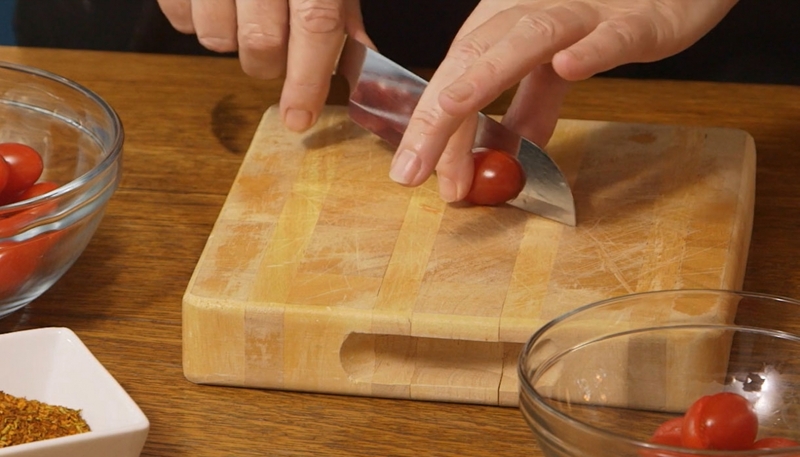 Take a pint of cherry or grape tomatoes and cut each in half, and set aside. Now­, heat three tablespoons of olive oil in a large skillet on medium high heat. Add the chicken and the Moroccan Lemon Chicken seasoning to the skillet and sauté for five minutes, stirring occasionally. Add the lemon and tomatoes, and sauté for an additional three minutes. And that’s my Moroccan Lemon Chicken. It’s great served over rice or couscous.